Artist and musician, Klaus Voormann, will be launching a new exhibition this month: 'It Started in Hamburg - Graphic Arts & Stories 1958-2018'. The exhibition will run from September 19th-22nd at the Reeperbahn Festival, Hamburg. Featuring around 74 displays, all dedicated to Voormann's creative work, the exhibition will range from graphic works and sketches, to video projections of Voormann on the big screen. 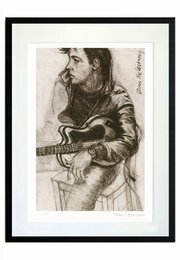 The exhibition is based on Klaus Voormann's new book, Klaus Voormann - It Started in Hamburg, which delves into his unique life, works and the time he spent with The Beatles. 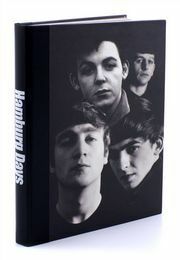 REVOLVER 50: The Collage Series by Klaus Voormann from Genesis Publications on Vimeo.